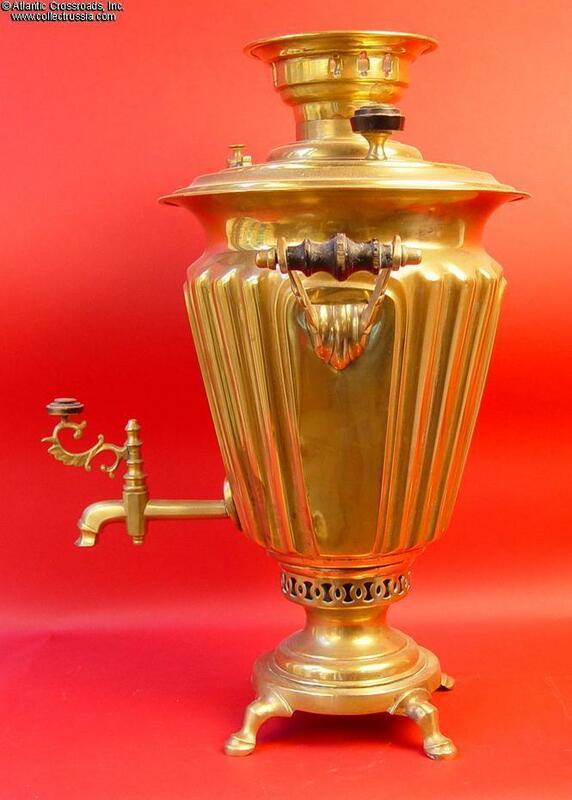 Conical Russian Samovar circa 1910, in excellent condition. 10" x 20". 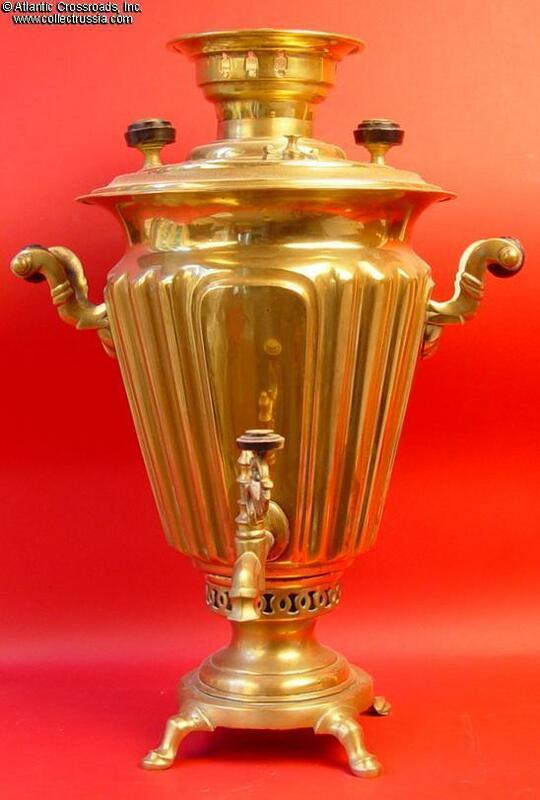 Maker marked to the Shemarin Trade Union, Tula, with Imperial hallmark. Excellent condition. 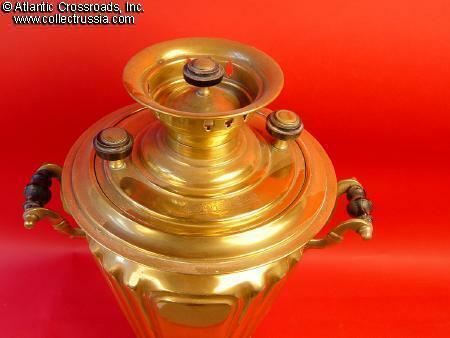 This particular example is outstanding: it retains its crown and chimney cap, all its original wood parts and the often missing steam valve. There are no dents and only a bump to the reverse and another to one lower side visible in photo. 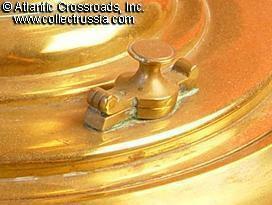 Original handles, one is cracked in half, wires hold it together, otherwise no repairs. 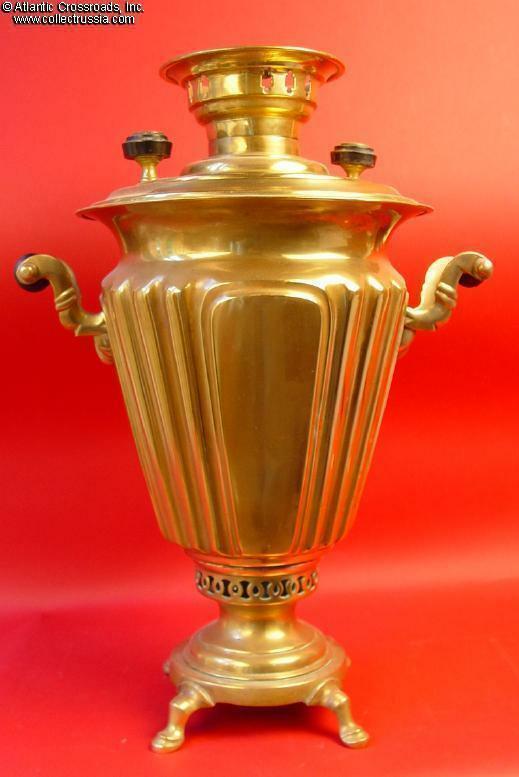 This conical form seems to typify the late Imperial era, while retaining the old style embellishments like polished cast brass feet and handles, it sports the sleek clean lines of the new century and somewhat less elaborate fittings.